Oh. "Metallia" on Friday Night Progressive Radio Show — Oh. On Friday Night Progressive, host M DESTINY played “Red Lion” and “Bee” on the #346 FNP show on November 16, 2018. Friday Night Progressive has made great efforts to truly support artists on Facebook and through the radio broadcasts and plays only the best in progressively-oriented music, leaning more towards complex musical compositions and the virtuosic end of the performance spectrum. Very honored to be part of the artists played on the show. Friday Night Progressive plays the best independent progressive rock, instrumental and fusion music on the internet. FNP is in its 7th year in broadcasting, doubling the album list from 33 to well over 60 albums in new independent artists in one year! FNP plays only the best in progressively-oriented music, leaning more towards more complex musical compositions and the virtuosic end of the performance spectrum. Progressive music is, at its heart, music for the sake of art; any commercial considerations in its presentation are incidental and subordinate to concerns of artistic integrity. FNP hosts The IndeProg Awards. The IPA is a testament of good will and a gesture in recognition of accomplishment above and beyond the realm of excellence. It is perceived as a magical award. Every year, the day after Thanksgiving, the IPA will broadcast the winners from a list of finalists at 9:00 PM NYC. The main categories are composition, instrumental, vocal and original. 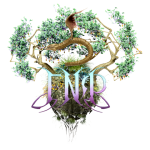 Every artist that is played on FNP is recognized as special or outstanding and contributes to a genre which is well respected. The IPA was designed to spice things up for the progressive community throughout the world. If you were played on FNP and nominated, that alone should be enough to win. It is important to bring these artists out to the forefront and the IPA certainly accomplishes that goal.